The media just keeps stooping lower and lower. 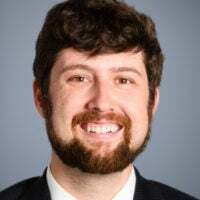 Reporters had already discredited themselves through their often reckless coverage of the allegations against Brett Kavanaugh, President Donald Trump’s nominee to the Supreme Court. Now, we’re hit with one of the most irresponsible stories yet. 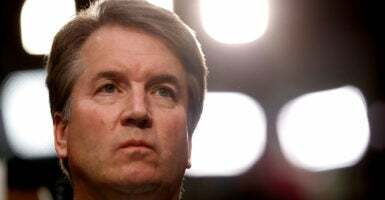 On Sunday, The New Yorker published an article reporting that Senate Democrats are investigating a new allegation that Kavanaugh exposed himself to a woman, Deborah Ramirez, at a party while they were both freshmen at Yale during the 1983-1984 school year. This, of course, follows the rolling allegation that he sexually assaulted a woman, Christine Blasey Ford, when he was in high school, which has consumed the news cycle over the past few weeks. The New Yorker article is significant for several reasons. The authors are noteworthy—particularly Ronan Farrow, who built his credibility in breaking the Harvey Weinstein sexual assault allegations. That report was extensive, detailed, and damning and made him one of the leading journalists for the “Me Too” movement. However, his recent piece on Kavanaugh, which he co-authored with Jane Mayer, a notable left-wing journalist, is a far cry from the level of evidence he provided in his previous reporting on Weinstein. One of the biggest problems with all of the Kavanaugh allegations, and the media’s reporting on them, is that there have been no corroborating eyewitnesses. The New Yorker explained that it hadn’t found any witnesses who could affirm that Kavanaugh was at the party where the alleged incident took place. Many of the potential witnesses couldn’t even confirm that the party took place at all. Of the friends and fellow students that The New Yorker contacted, none said that Ramirez had ever spoken about the incident. In a statement to The New Yorker, several classmates said they disagreed with her story entirely. Even one of Ramirez’s best friends noted that she had never heard her tell the story of the incident. Despite the thinness of this story, Sen. Dianne Feinstein, D-Calif., who has led the charge against Kavanaugh in the Senate Judiciary Committee, demanded an immediate cancelation of hearings related to his confirmation. As though anyone at this moment were playing politics more than Feinstein. Journalists gripe about Trump calling them “fake news,” but it’s stories like this, which create such an obvious perception of alignment between the Democratic Party and the media, that have done damage to the industry. The question is, will such thinly substantiated and impossible-to-refute allegations be able to derail Kavanaugh’s nomination to the Supreme Court? Will Kavanaugh survive the barrage of attacks that threaten to irreparably damage his personal and professional life? And in the long term, will other upstanding citizens be willing to endure such horrific treatment in order to have the privilege of serving their country? That’s what Senate Democrats and the media are putting at risk with their relentless character assassination of Brett Kavanaugh.